Drop the ultra-strong magnetic ball inside one of the the aluminium tubes, and experience just how slowly the ball falls. Although the ball is not touching the sides of the tube, you can still feel the weight of the magnetic ball within the tube. 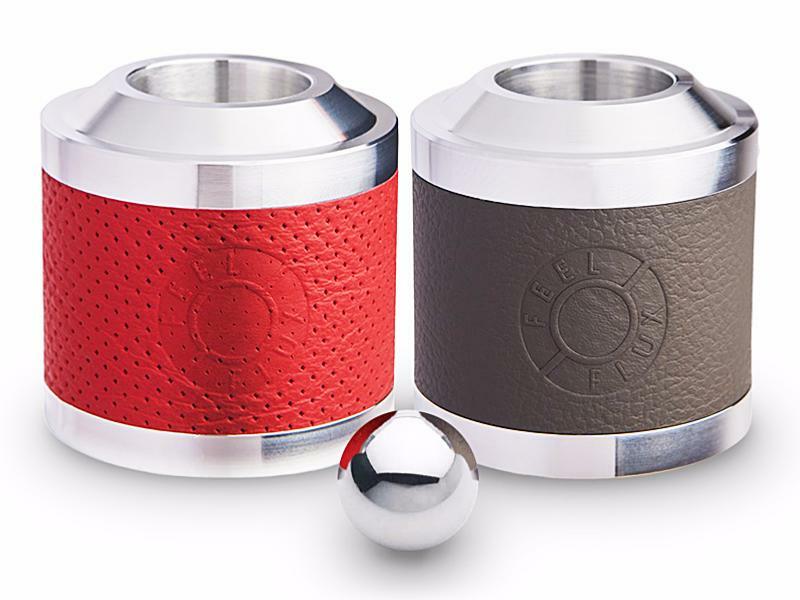 The Skill Set gives you a pair of aluminium tubes, one in deep red leather and one in graphite grey. You ca perform extra tricks with two tubes, and you can also stack them to make one longer tube.With it's gravity-defying effect, this is a scientific toy that feels like magic!How does it work? The scientific principle is called Lenz's Law. Basically the movement of the falling magnetic ball creates a changing magnetic field inside the metal wall of the tube; according to Faraday's law of induction, the changing magnetic field induces a voltage inside the wall of the tube called electromotive force. Because the tube is made of metal that is a good conductor, this voltage creates electric currents that flow round the walls of the tube - these are called eddy currents. According to the law of excitation, the flowing eddy currents generate a second magnetic field that can affect the magnetic field of the ball. Lenz's law states that this additional magnetic field is always directed to oppose the motion that has generated it : the downward movment of the ball; and the faster the motion, the stronger the slowing force becomes. Skill Set uses ultra high purity aluminium. 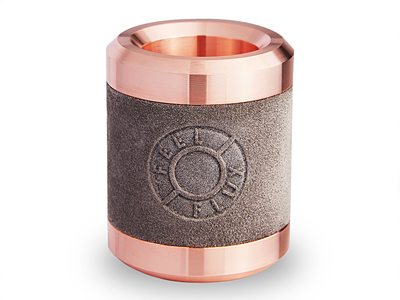 The magetic ball moves faster through the aluminium tube that it would through copper, so these faster dynamics enable you to perform a range of challenging tricks. 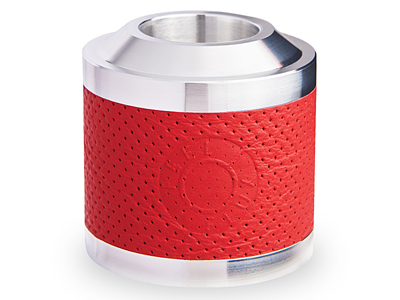 There is a deep red suede leather band around the one of the aluminium tubes, and a graphite grey band around the other one, to provide a firm hand grip. They come in a smart presentation box.For some of the tricks that can be performed, see https://youtu.be/EZlVfeu_GOESAFETYThis item is not suitable for children under the age of 14 years. 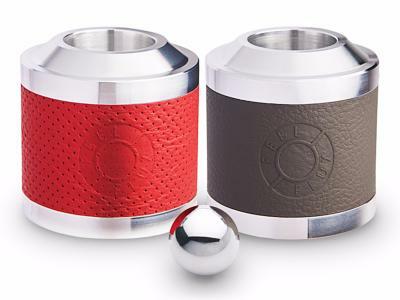 The Skill Flux inclues a very strong neodymium magnetic ball that should be handled with care. Avoid dropping it on hard surfaces, or it may shatter. It should be kept away from watches, computers and phones, and should not be swallowed. Awesome science toy. Love the quality of it and will be happy to do business again. Very well made & surprisingly addictive! Innovative. Very good quality too.